A weaving, winding trail of arts extends over four glorious days through the northern reaches of the Great Eastern Drive from White Sands Estate at Four Mile Creek right through St Marys, Scamander, St Helens and Binalong Bay. Now in it’s fifth year, this event has continued to grow in appeal and stature, and attracts artisans and artists from across the country. Designed to celebrate the arts in all forms, the festival encompasses just about anything you can imagine from music, sculpture, painting, glass, exhibitions, open studios, gardens, tours and workshops. For those of us who may not be so ‘right brain’ inclined, the festival aims to inspire and give insight into the inner creative workings of the artistic mind by allowing patrons to get ‘up close and personal’ with artists and artisans at exhibitions, workshops and the popular studio trail. 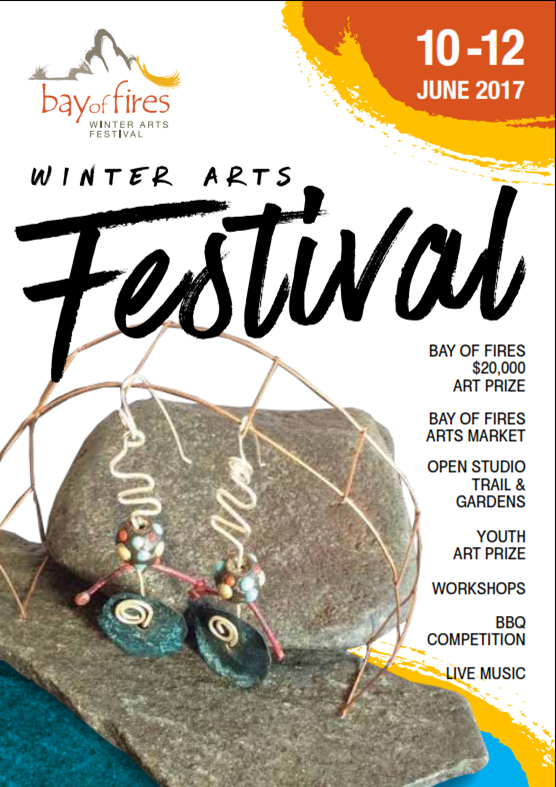 Catering for every artistic penchant, desire and age group, you will certainly need the full four days to ensure you get the full Bay of Fires Winter Arts Festival experience.